CPA break-even calculator tool gives you an idea of what CPC and conversion rate you should aim for to make the campaign profitable, including how much you need to spend based on different CPC and CR values to break-even. It also calculates your current spend and earnings. 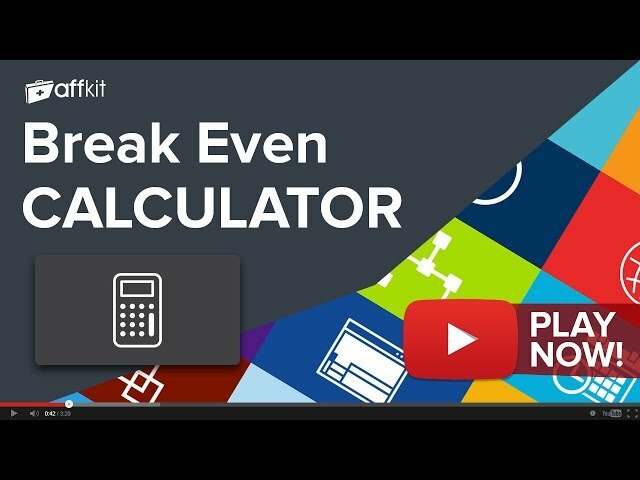 Break even calculator comes free with your AffKit membership. Sign up now to have full access to Break even calculator and another 20 must use tools. If you're already a member you can Log in now or Sign Up to get access.